Haven't yet submitted your application? Read our Top 7 Signs You Are Getting a Residence Questionnaire. Looking for the citizenship residence questionnaire? What is the Residence Questionnaire? See the latest version of the questionnaire here. PR Cards normally take about 6 months to process. If you haven't submitted proof of urgency, there's no reason to expect it to take less than 6 months, especially with all the delays IRCC has been experiencing recently. If you start calling the IRCC call centre repeatedly about your application well before your Card should be ready, this could lead to a questionnaire. Why? 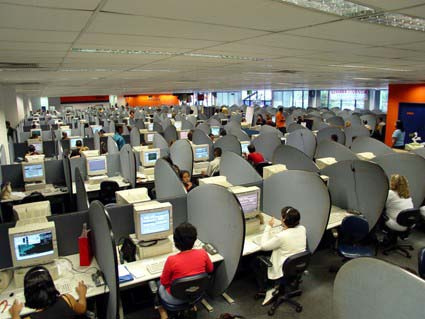 Well, the staff at the call centre are only human, and such excessive contact might get annoying. The staff are allowed to contact the officer working on your case to notify them of suspicious behaviour. Immigroup has helped people who received the questionnaire who had no reason to receive the questionnaire but who have received it anyway, simply because they could not stop themselves from contacting IRCC a couple times per week. How can you avoid it? If your application is a great one - i.e. you've been in Canada for most of the last five years and there are no inconsistencies in your personal information - just be patient. Your PR Card will take a long time to process if you haven't submitted proof of urgency. Wait until 6 months have gone by before worrying or contacting IRCC. If you need to travel, you can always submit proof of urgency to hopefully expedite your application and get your Card when you need it. 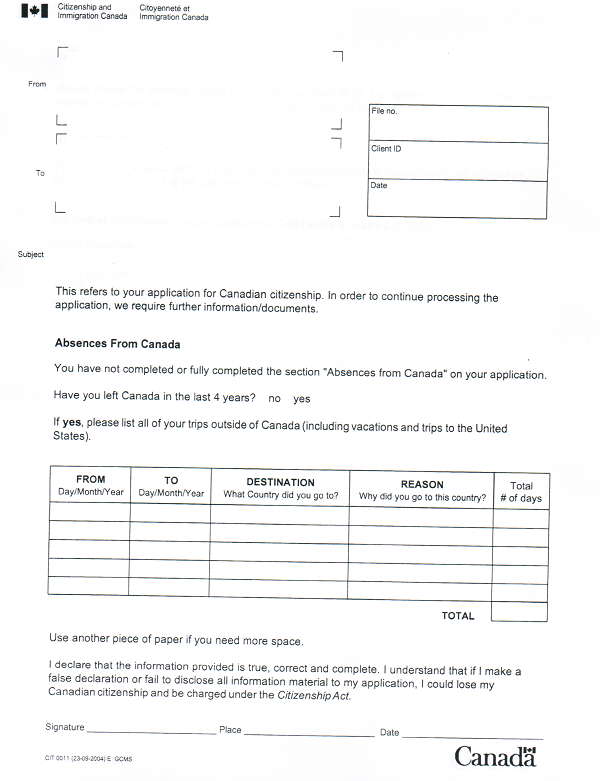 Receipt of a letter requesting reconfirmation of your trip dates suggests an inconsistency on your application. It could have been something as simple as a typo or more serious, such as the omission of a trip. It is important, when responding to this notice to not only reconfirm the dates that you included on your application but to supply proof of your trips abroad when responding. If you did indeed make a mistake on your original application, now is the time to notify IRCC; however, you will likely receive a residence questionnaire if you left a trip off your original application, whatever the reason. How can you avoid the questionnaire in this case? Always complete your PR Card application honestly and always proofread it before submission. If you did receive the notice, reconfirm your trips honestly to the best of your ability. If you are not sure what to do, you can always contact a professional. Receiving more than one notice from IRCC requesting any additional information is usually a bad sign for the odds of receiving the questionnaire, especially if you failed to respond to one of the notices. 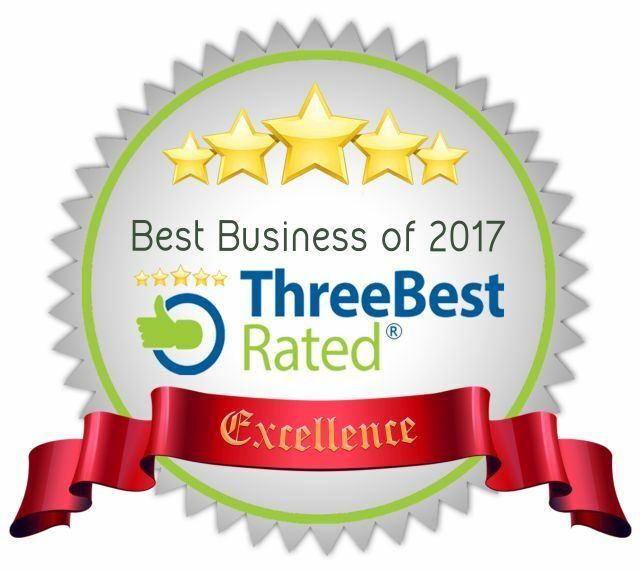 Even if you did respond, a second or multiple notices indicate IRCC still perceives outstanding inconsistencies between what you are telling them and what they see in your Record of Movement, or a lack of information from you. Either way, you will likely get the questionnaire. How can you avoid this? If you do get a notice, respond promptly and honestly. That may not prevent the issuance of a questionnaire but at least you will be in a better situation if you do have to attend an interview with a IRCC officer. You Perform An Online Status Check and it Indicates "We transferred your application to the local IRCC office on..."
IRCC are merely going through your CBSA Record of Movement and your stated list of trips outside Canada; if everything is okay, you will not receive any communication and your PR Card will be issued as usual. 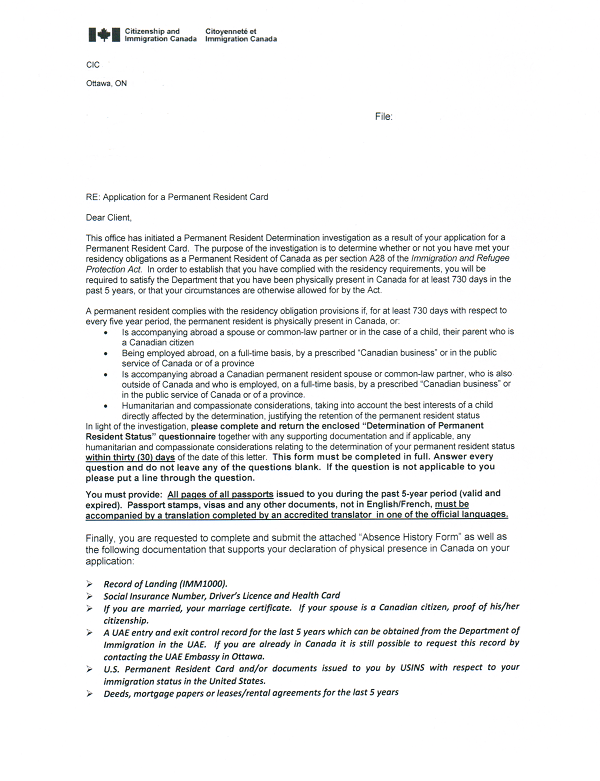 IRCC are investigating inconsistencies in your application and you will receive some kind of notice from IRCC to provide a reconfirmation of your travel dates, more information about your travel dates or your passport(s), or to complete and submit the Absence History Document or even the IMM 5511 questionnaire. 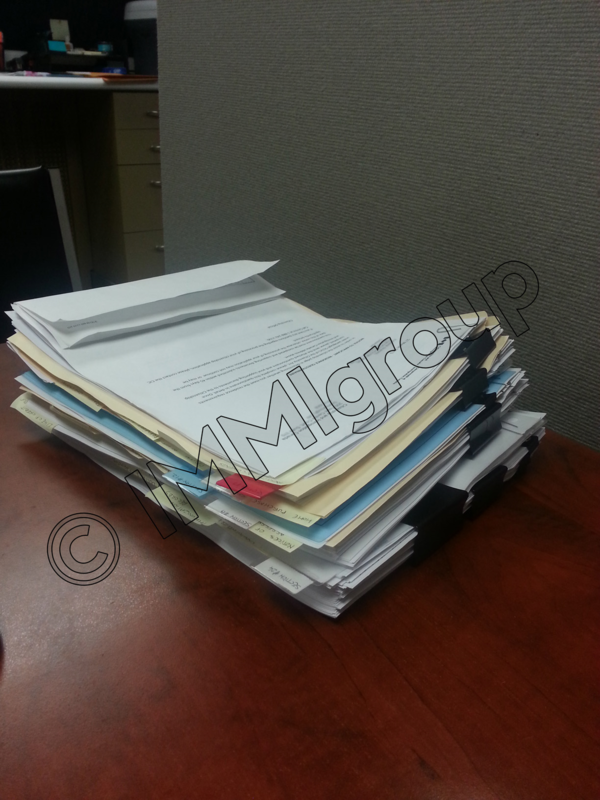 In Immigroup's experience, requests for information from IRCC are normally made within four weeks of the transfer of the file from a Case Processing Centre to a local office. If it has been longer than that, your application may be delayed for other reasons not related to you personally (the office is too busy, etc). Please note that this is just in our experience and is not a hard and fast rule. IRCC issues residence questionnaires at its discretion. “Trust me I can get you into Canada…” If it sounds too good to be true, it is! How can you avoid this situation? Completing your PR Card application honestly and accurately is the best way of avoiding it; if you do not meet the residency requirement then the best means of avoiding this situation is to delay your PR Card application and your travel plans until you satisfy the requirement. If you login and see this notification, do not panic. It may be a random selection of your application for further investigation. There is no point in contacting IRCC's call centre. They will not be able to tell you whether or not a residence questionnaire will be issued and have no contact with your local office. The only thing you can do is be patient and check your status online every now and again while you wait for either your PR Card or some other communication from IRCC. What is the Residence Questionnaire and What Does it Mean? 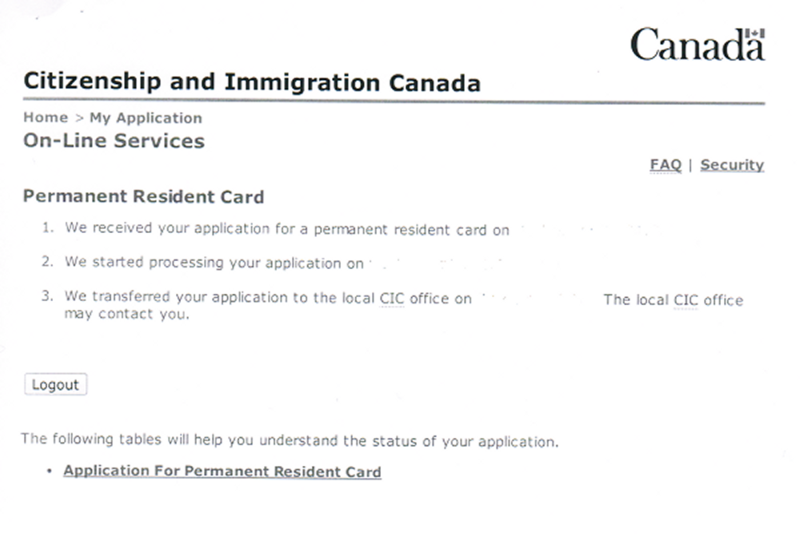 The residence questionnaire is a document sent to permanent residents renewing or replacing their PR Card whom IRCC believes might not meet the requirements for residence. See a sample of the full questionnaire. 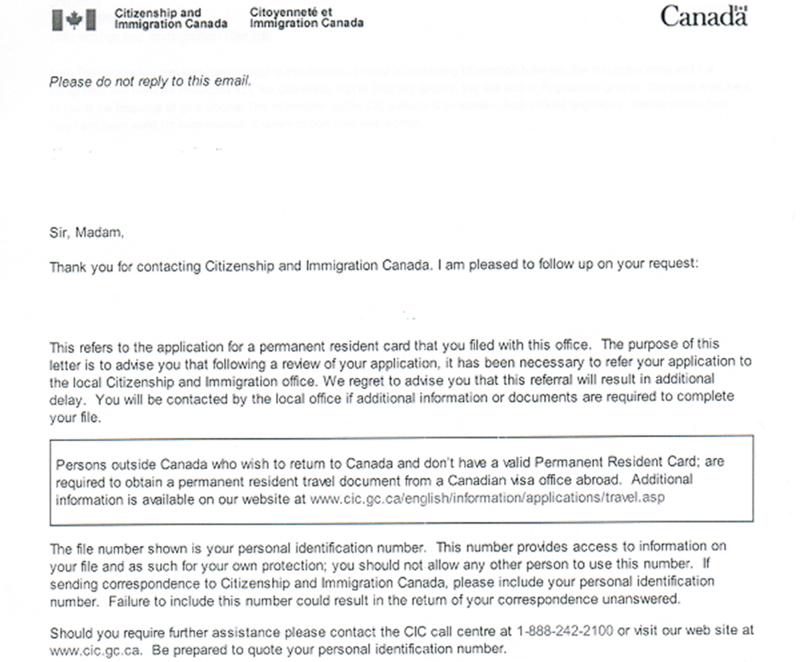 and the IMM 5511 Questionnaire: Determination of Permanent Resident Status. If your interview with the IRCC officer managing your file does not go well, the officer may send you to an interview with a Judge. The Judge is allowed to make binding decisions regarding your permanent residence status in Canada. If the judge does not think you are meeting the residence requirements, or that you have not been truthful, then he or she will recommend a deportation hearing. If the deportation hearing rules you should be deported, you will have an opportunity to appeal. If the appeal does not overturn this decision, you will be asked to leave or may even be deported. If you receive the questionnaire, you should not worry that you are going to get deported. But you should be aware that receiving the questionnaire can lead to serious consequences in the future, if you have not complied with the residence requirement or if you fail to honestly answer the questionnaire or any questions put to you during the interview. Unlike the citizenship questionnaire, the PR residence questionnaire is mandatory; you cannot withdraw your application and hope the problem goes away. The situation will escalate. Please also note that if you are outside of Canada and miss your interview, you run the risk of being denied entry into Canada upon your return, as CBSA will have been informed of your failure to appear at the interview. If you are outside of Canada and receive the questionnaire - or any request for information from IRCC - you should return to Canada immediately. 1. If you are worried about an investigation and you don't need to travel any time soon, submit your CBSA Record of Movement with your PR Card application. You can apply to CBSA for a Record of Movement on your own. You can then use this report to make sure all the information concerning your entries into Canada on your application is exactly accurate. If you submit the Record of Movement with your PR Card application it is almost like holding up a sign saying "I have nothing to hide." Think of this as being similar to having all your receipts ready with you when you arrive at the border; you appear honest and forthcoming, and ready to cooperate. Better to submit your CBSA Record of Movement to IRCC than have them go looking for it. 2. Keep a record of rent payments and agreements. Immigration, Refugees and Citizenship Canada keeps a list of suspicious addresses where landlords have been previously caught writing false confirmations of address for tenants. Even though your residence in a building is totally legitimate, it is always possible that your landlord or their representative may have been caught covering for people in the past, especially if your building is one which has a lot of tenants or former tenants who have been permanent residents, temporary residents, or even in Canada illegally. Just be careful and keep a record; you never know what building might be on this list as IRCC does not make it public.